Pilot ISN is an impedance stabilization network which can be used to measure disturbance voltages of PLC (power line communication). Its design is based on IEC 61851-21-1 Electric vehicle conductive charging system. 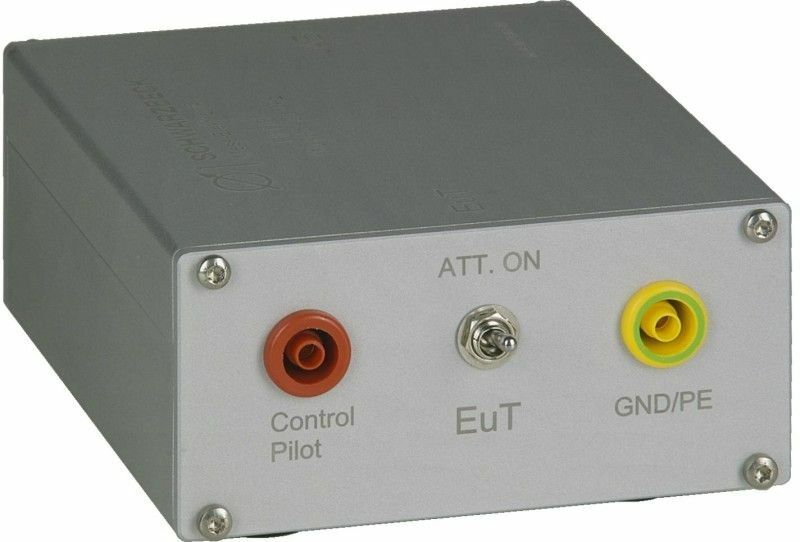 The ISN provides decoupling from the equipment under test (EuT) and the communication device or load (AE). 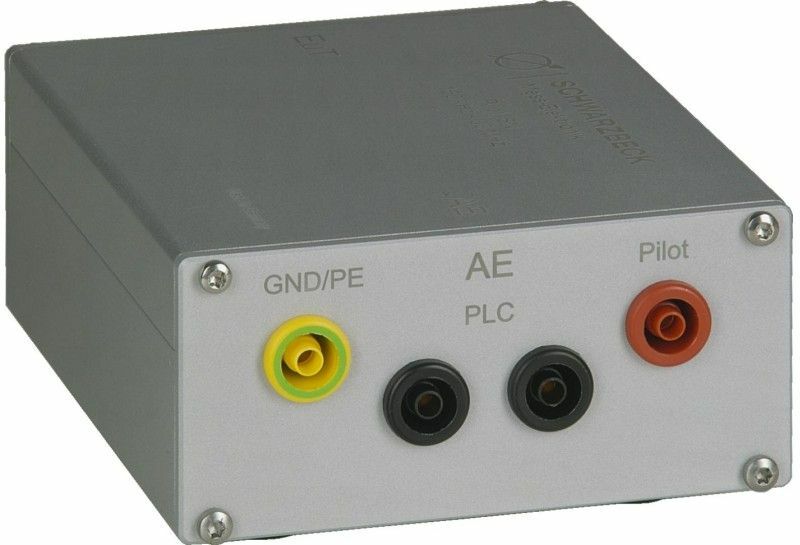 The Pilot ISN has an impedance of 150 Ω according to the standard as long as a PLC connection with an impedance of 100 Ω is established. The integrated attenuator improves the impedance matching and has to be switched on. The ECSS LISN 1 was developed following the „European Cooperation for Space Standardisation“. 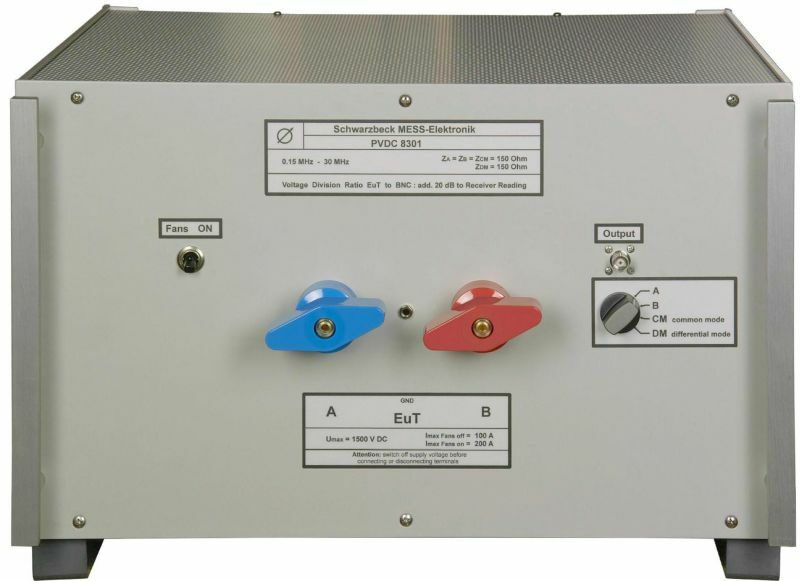 The ECSS LISN 1 is used for DC mains lines. The impedance characteristic of each path is basically realized by an inductor in parallel with the 50 Ohm resistor: 1.5 μH || 50 Ω. The ECSS LISN 2 - 75A was developed following the „European Cooperation for Space Standardisation“. 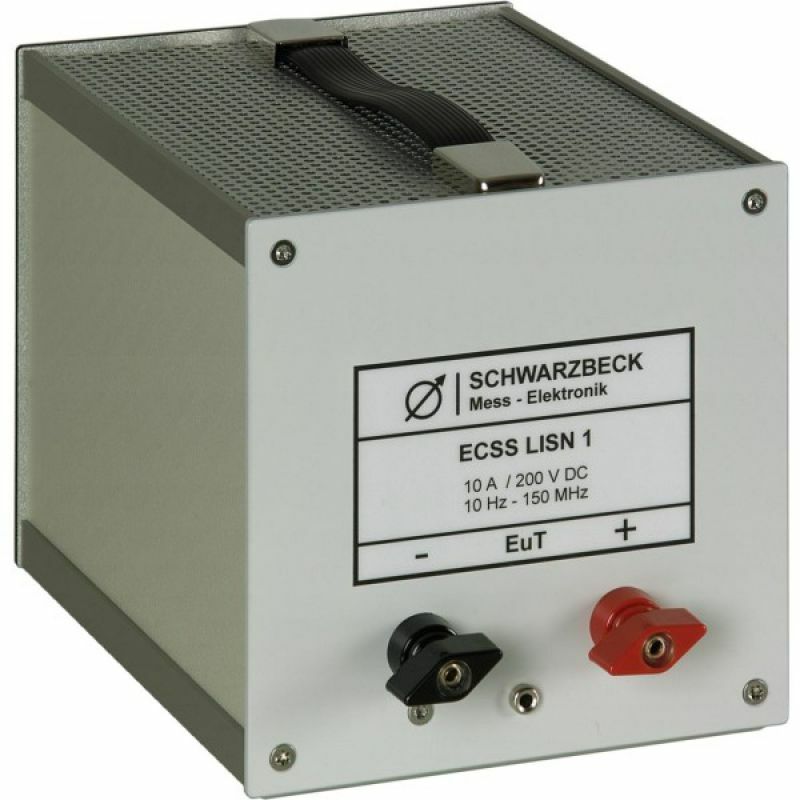 The ECSS LISN 2 - 75A is used for DC mains lines. The impedance characteristic of each path is basically realized by an inductor in parallel with the 50 Ohm resistor: 2 μH || 50 Ω. The device under test may drain a continuous current of 75 A and for a short period of time it may even drain more than 100 A. The ECSS LISN 3 was developed following the „European Cooperation for Space Standardisation“. 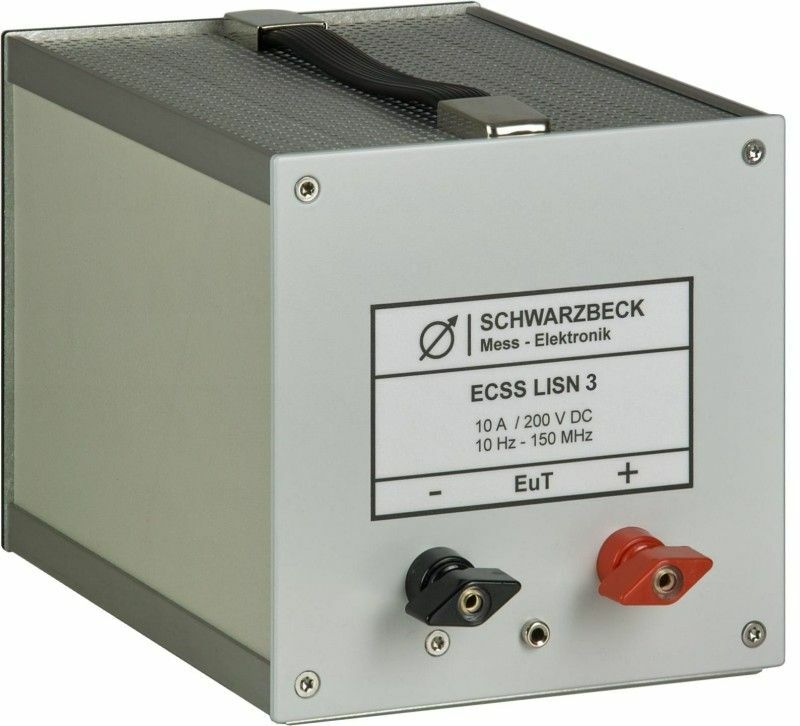 The ECSS LISN 3 is used for DC mains lines. The impedance characteristic of each path is basically realized by an inductor in parallel with the 50 Ohm resistor: 0.7 μH || 50 Ω. 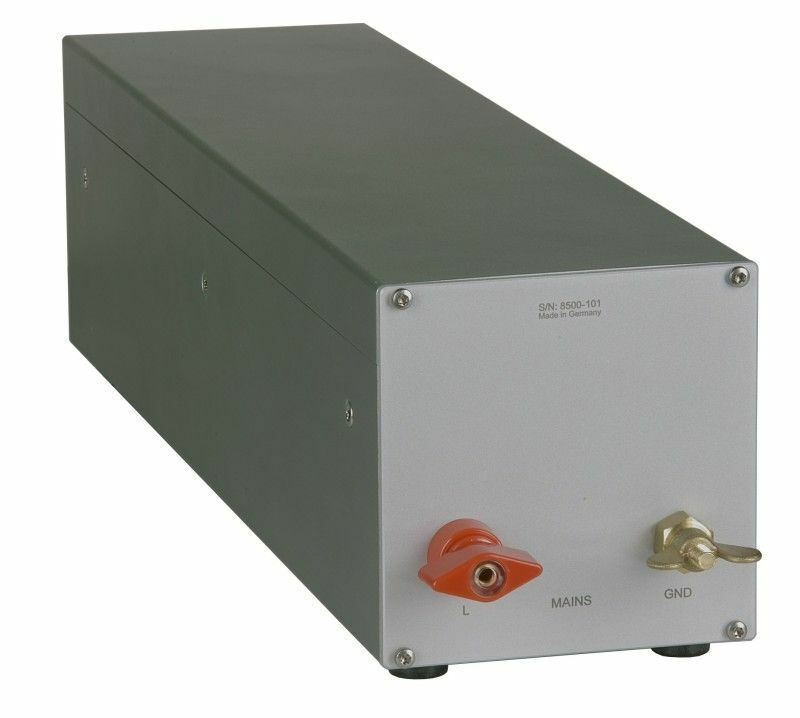 The symmetric DC-LISN PVDC 8300 can be used for measuring the disturbance voltage in the frequency range from 0.15 MHz to 30 MHz on photovoltaic inverters. The PVDC 8300 was especially designed to measure all kinds of disturbance voltages at the DC-side of photovoltaic inverters. These are in detail the disturbance voltage of one conductor above reference ground (unsymmetrical disturbance voltage), the common mode disturbance volage of a pair of conductors above ground (asymmetrical disturbance voltage) and finally, the differential mode voltage between two conductors. The LISN NPLC 8500 has been designed especially for PLC measurements according to ITU-T G.9901. To determine the power spectral density of PRIME transceivers (PoweRline Intelligent Metering Evolution) the unsymmetrical voltage between a conductor and ground has to be measured within the frequency range of 3 kHz to 148 kHz.